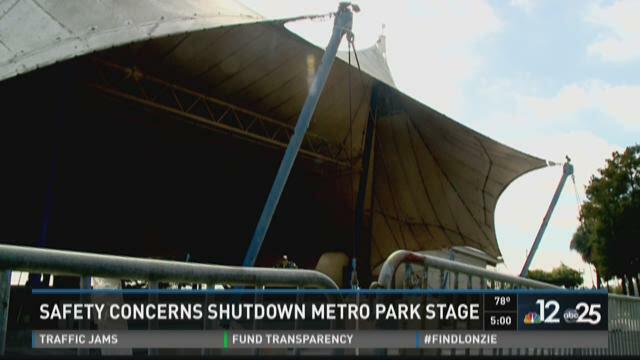 JACKSONVILLE, Fla. — The stage at Metro Park downtown is off limits as the city decides on whether it can repair or must replace the existing canopy. City inspectors have decided that something needs to be done before events can be held under the covered white-top. The park that's usually used for all kinds of different events is still open. What cannot be used is the stage covered by a weathered and aged canopy.